Used by professional and recreational players world-wide the V-Force Grill SC offers a tight, light and sleek look. 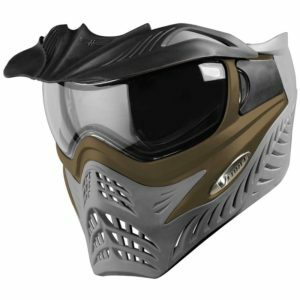 The V-Force Grill SC is the top of the line mask system available today. With cutting edge, industry leading ThermoCured, AntiFog and AntiScratch lenses players achieve unbeatable distortion-free optics. A sleek spherical lens with an aggressive low-profile design offers incredible peripheral vision. The lens isn’t the only low-profile aspect of the Grill SC. A HardTarget design reduces the target zone allowing for ultra-tight play while soft rubber materials maximize the possibility of catching a bounce. 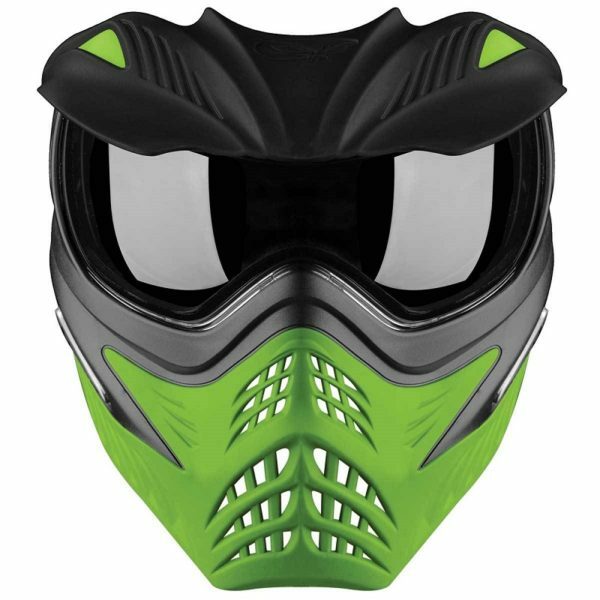 See clearly and hit the field in style with the V-Force Grill SC Paintball Mask. • Adapt to any light condition with optional HDR lenses available in an array of different colours.